The bone broth trend is everywhere (Shailene Woodley is even a fan! ), but it’s more than just a buzzy new item on restaurant menus—the foodie fad may pack some health benefits. “There are numerous claims that it helps with digestive issues, improves memory, strengthens your immune system, promotes stronger bones and reduces joint pain,” says Keri Gans, a registered dietician and author of The Small Change Diet. There’s still no definitive research as to the merits of the feel-good perks, but hey, doing a little more home cooking and a little less processed-food buying never hurt anyone. Not up for downing a straight shot of the caveman-esque drink? 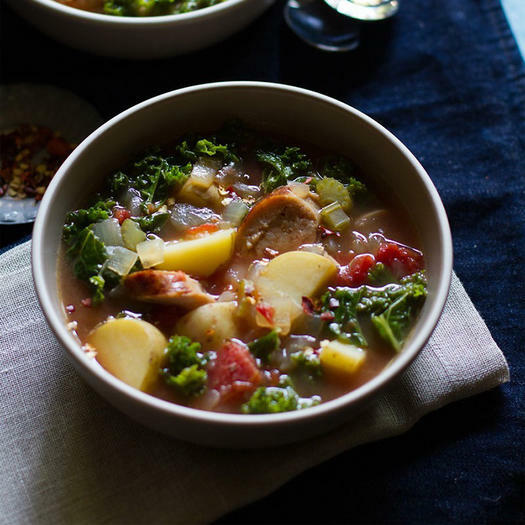 These bone broth-based soup recipes incorporate stock—and taste great too. 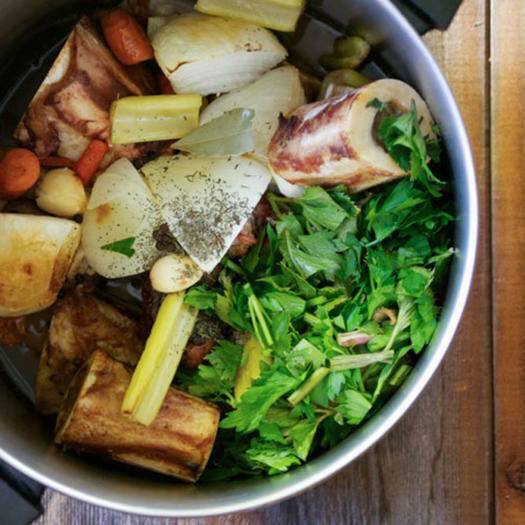 Bone broth for—breakfast? You bet. Cara Eisenpress of the blog Big Girls Small Kitchen adds stock to her morning menu with her Breakfast Soup. 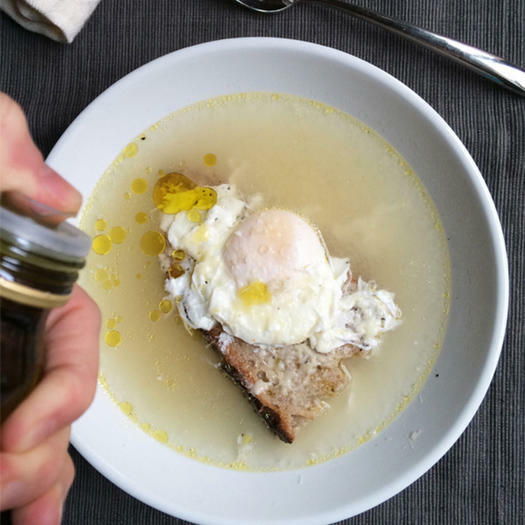 The recipe consists of a perfectly poached egg, a sprinkle of Parmesan cheese, and Homemade Chicken Stock. It all comes together in a light and flavorful way, which means it’s spring-approved. Bonus: you can eat it for dinner too. Jennifer Farley, of the blog Savory Simple, has one rule when it comes to broth: don’t buy store bought. And her homemade buttery-rich bone-broth chicken stock will turn you into a believer too. 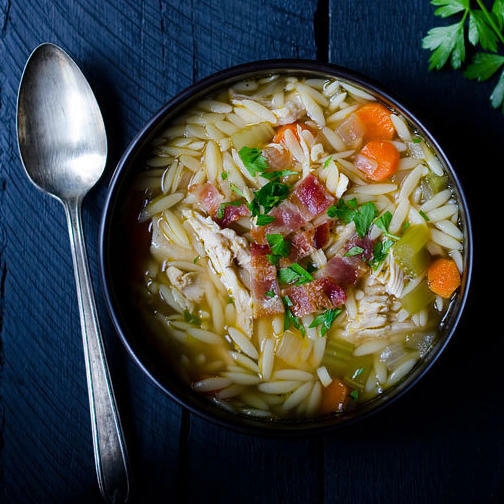 Once you whip up a few batches, use your broth bounty as the base for her excellent One Pot Chicken and Bacon Orzo Soup. Even better: you won’t have a sink full of dishes to clean when you’re done. Cooking up a bowl of pho on a weeknight? Ain’t nobody got time for that! 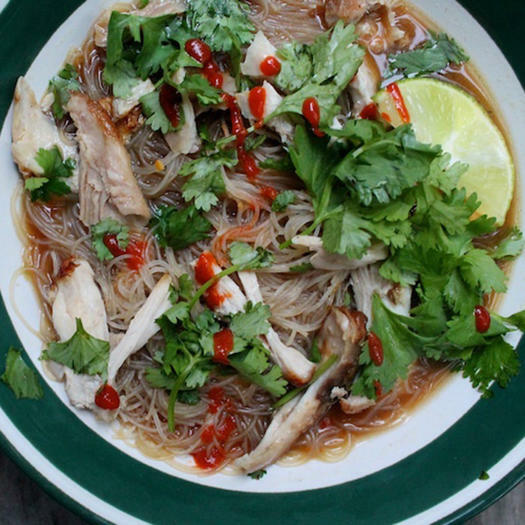 But Joy Belamarich of the blog 3 Chairs has put her spin on the tasty dish with her Vietnamese Noodle Soup—and it takes just about 10 minutes to make. To sweeten the deal, you can use whatever you’ve got in your fridge—chicken, turkey, beef—and it turns out phenomenally. (Nothing beats getting rid of some of those cans clogging your pantry. 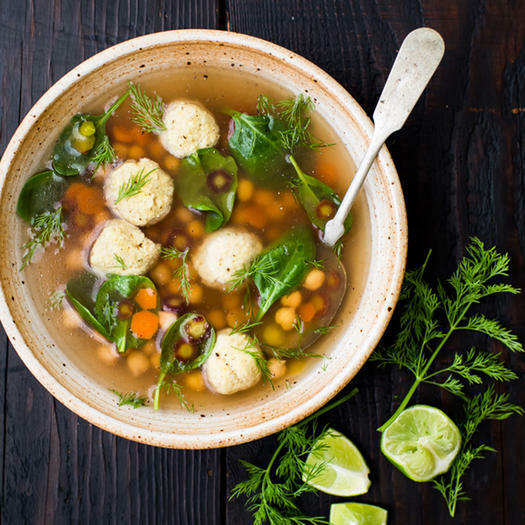 The addition of baby spinach, chickpeas, and citrus juice in this Persian “Matzoh Ball” Soup, from Erin Scott of the blog, Yummy Supper gives this classic dish a fresh twist. You may want to double it, as you’ll be craving it for lunch the next day. Trust us. 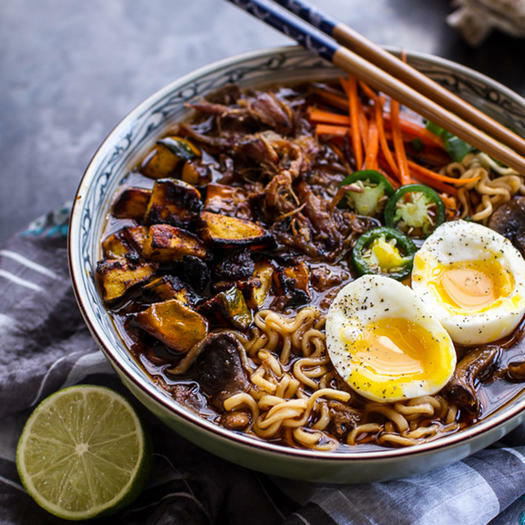 Making homemade bone broth can be a time-consuming process, but when you get to put it to use with recipes like this Crockpot Crispy Caramelized Pork Ramen Noodle Soup from the blog Half Baked Harvest, it’s all worth it. The meat slow cooks all day for melt-in-your-mouth deliciousness. Recipes with “easy” in the title can either be genius—or diasters. 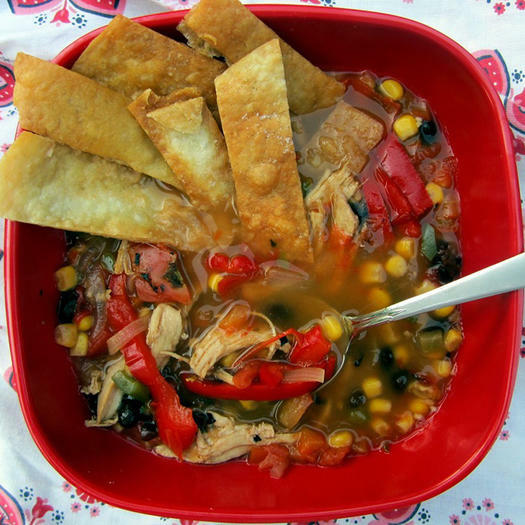 It’s definitely the former for Ambitious Kitchen blogger Monique Volz’s zesty Easy and Healthy Mexican Chicken Soup. Make sure to garnish with avocado, cilantro, and cheese when you’re done. A savory stock may be the superstar in this Roasted Tomato, Kale and Sausage Soup from the blog Salt & Wind, but the Italian-style sausage, fire-roasted tomatoes, and crushed red pepper flakes really kick the flavor up a notch. 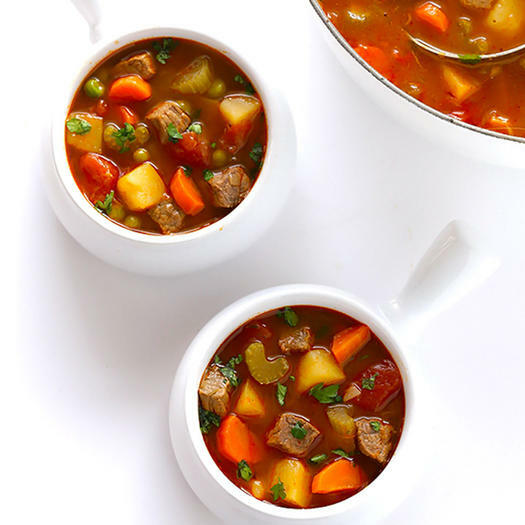 Whip up a pot of Homemade Beef Broth courtesy of the blog Relish It and you’ll have a fridge full of stock whenever a recipe calls for it—or just drink it up whenever you aren’t feeling 100 percent. Be the first to comment on "9 Bone Broth-Based Soup Recipes"